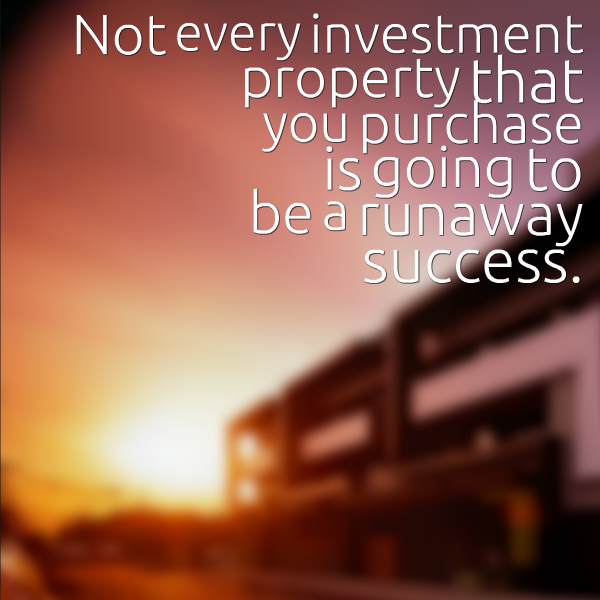 Not every investment property that you purchase is going to be a runaway success. Some of the properties that you purchase are going to be under performing properties that don’t generate you the income or the equity growth that you predicted. How can you take a property that was a dog of an investment and turn it around into an investment that you’re proud of? 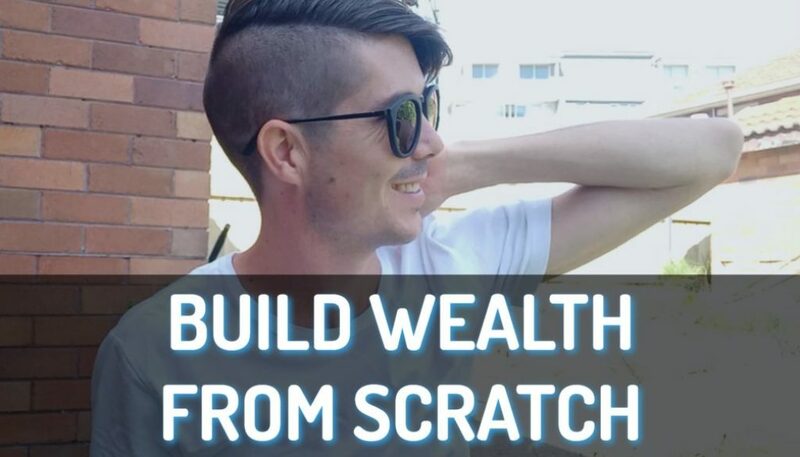 Even financial and investment gurus like Robert Kiyosaki (the author Rich Dad Poor Dad) or Dolf De Roos (who is famous property investor) say that when you invest in property you are going to have some properties that are home runs. You are going to have a lot in the middle that is just tick away and then you going to have a few dogs that are just these under performing properties. One option is to sell the property but what else can we do to under performing properties to make them better or at least make you sleep better at night? So number one is first to get your facts straight. So by that I mean doing a financial analysis of your investment. We may think that it is not a great performing property because it hasn’t gone up in value or it hasn’t performed as we expected but first it’s important to sit down and to go through the figures and work out exactly how your property is performing and predict what it’s going to do in the future. So look at cash flow, how is the property going in terms of cash flow? Is it positively geared? Is it negatively geared? How much are you sinking into the property in the terms of ongoing maintenance and cash flow? Look at the capital growth, maybe go about getting your property refinanced or get a revaluation of the property to find out whether it has that gone up in value. And be careful when you are getting bank revaluations because they tend to err on the side of caution and maybe worth going to either your local real estate agent just asking them for advice or getting a professional valuation done which can cost you around $300. And that will give you an idea whether your property has gone up in value. So even though the bank’s value of might say “no it hasn’t gone up”. If you pay for an independent valuation you may find that the property has actually increased in value if you were to go and sell the property today. 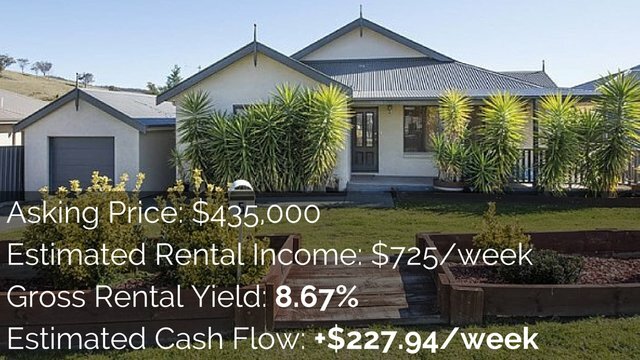 Get a valuation done, work out if you have any growth at all and also look at the rental growth to find out whether your property has gone up in rental growth. If you’re interested in seeing what your rental growth may be for the future why not start by looking at the vacancy rates in the area? Vacancy rates are extremely low- well that may be an indicator that rental rates might be on the rise in the future. It’s not a perfect calculation but it’s a rough estimate that is going to give you an idea. So firstly do your analysis, get your facts straight and workout whether this is actually under performing property or whether it is performing and you are happy with its performance. Number two would be to find out what people in the area want. People often will go ahead and will purchase a property without actually thinking about the demographics of the area and what the area wants and how we could get either the best value for our property or the best rental return for our property. So there’s a few ways, a few tips that I’ve got how you can do this. Firstly, is to head over to the Census Quickstats, type in your suburb address and then have a look at the demographics of the area. And more specifically, have a look at what type of properties people live in. Is that one bedroom? Is it two bedroom? Is it 3 bedroom or 4 bedroom? It will show you those statistics and what you may find is that your underperforming property is actually outside of what the demographic in the area want. So maybe you have a two bedroom property but you can see that 80% of the population lives in three or four bedroom properties. So maybe an extension to add an extra bedroom might move your property up into that mass market appeal. Maybe you need to add security screens or a fence or air conditioning. Then go on to search on realestate.com.au or domain.com.au and have a look at what properties in your price range have. But then take a step up and look at properties that are maybe 50 or a $100,000 more than yours or go to the rental aspect of those web sites and look at properties that are renting for maybe $20 or 30 or $50 a $100 a week more and find out what features they have. Is it that extra bedroom we talked about, is it that privacy, is that having air conditioning, is it having a double lock up garage? Lastly speak to your local real estate agent. 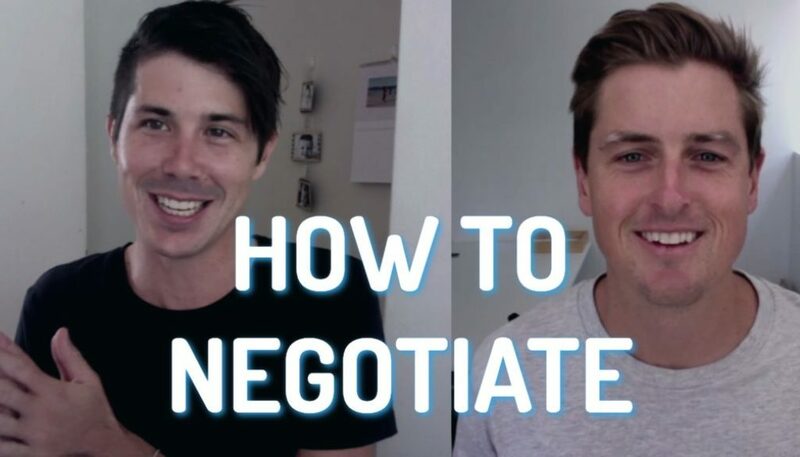 Firstly speak to your rental manager because you’re dealing with them anyway but later we’re going to talk about potentially getting a new rental manager. So talk to other real estate agents in the area and find out what key is my property, what are people in the area looking for and what can I do to improve that property. Tip number three is to look at doing a renovation. So this could be a cheap cosmetic renovation, which is probably the best place to start, or it could be a serious renovation where you are doing extensions and you are doing some serious work. 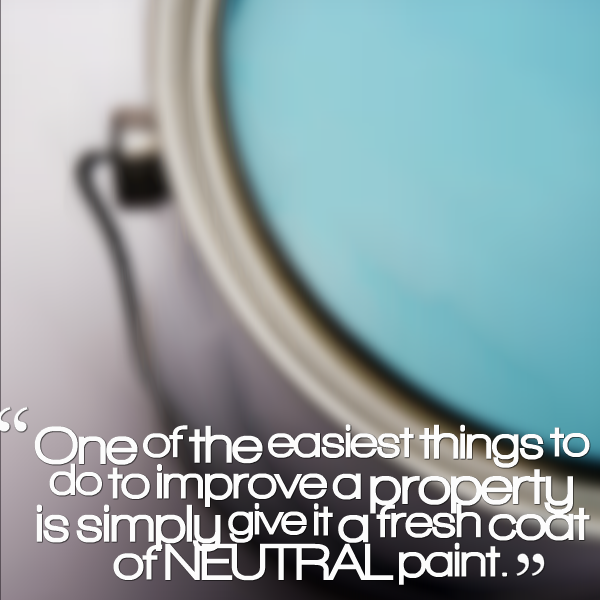 One of the easiest things to do to improve a property is simply give it a fresh coat of NEUTRAL paint. If you got a property that’s not neutral colors paint it in neutral colors, make it attractive to the broadest market. Don’t have all these pink bedrooms in an area that’s mainly miners or males or something like that. Appeal to the most amount of people. Maybe look at putting in new carpet or new floor boards or something like that, you can get floating floorboards really cheaply or you can even get lino that looks like floorboards which could be even better. 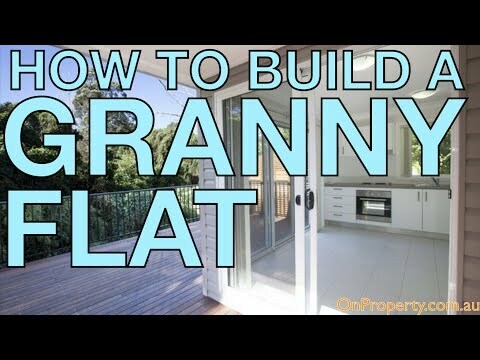 Tip number four is to build a granny flat. Wally Gabriel and his company focus on building granny flats and that is all they do, they build 80-100 granny flats per year. From the day you decide to build a granny flat to having a tenant moved in can be done in as little as 5 months and in some areas of Sydney two bedroom granny flats are renting for $600 per week. So potentially building a granny flat which is a lower-cost building could increase your rental yield, could put you into a positive cash flow situation and could turn around that dog of a property and make it into an investment are you proud to have. Tip number five is to look at larger scale development. Maybe granny flats don’t work for you, maybe you are in a more rural area or you’re in an area where it’s just not feasible for you. You could potentially look at a larger scale development. That might be adding a property at the back of the house, maybe a whole new property or it could be subdividing or it could be adding townhouses, there’s many different development opportunities that you could do which falls outside my level of expertise, I need to get someone to come on and talk about development. But looking at doing a larger scale development may be a way to access that portion of the market that you might be missing which is the mainstream market or you could just turn that underperforming property around. Tenants do not maintain a property the same as an owner does. Tenants are not going to go out and invest in a carpet cleanup to get the carpets cleaner, they’re not going to go around scrubbing the walls to get off all the dirt and the grime that comes from living in a property for many years. They’re not going to give a property a fresh coat of paint, they are just not going to take as good care over property as an owner. So when you tenants move out why not consider giving the property a spring clean? Go in there, maybe get some friends over the course of a weekend, really clean up that property and make it look great. Those overgrown bushes that the tenants haven’t attended to for years, rip them out put some new low-maintenance plants in there with some colour, something that looks beautiful. Inside the property fix-up just those little things that are broken, putty up those cracks in the walls and those holes that have come when some kid shut a door too quickly. Spring clean your property and just fix those little things because even though they are little things, it all adds up. And if you can tackle that and you can spring clean your property, you may be out to increase the rental return and the value of the property as well. Tip number seven is to consider renting your property room by room. This work specifically well in areas with a large density of uni students and younger people, people who are happy to live in a house with someone that they don’t necessarily know. If you’re in an area that’s predominantly families well that might be a bit hard because I’m married I’ve got two kids, and I would never be looking at a property where I would be sharing with another family. But if it involves a single person going to uni and wanted to save money would definitely be something that I would consider. There may be some rental managers out there who are willing to tackle this but you might need to do it yourself which means more work upfront, means more maintenance and stuff like that. But it could mean the difference between underperforming property and a property that’s performing extremely well. So consider renting by the room. Tip number eight is to rent your property furnished. So rather than having an unfurnished property you might be able to increase your rental return by renting the property fully furnished. So this means going out and buying some furniture or maybe it means taking the furniture from your property, putting it in there, maybe you’ve got some extra furniture that you can find. It doesn’t have to be extremely expensive. Now that you’ve got places like Ikea which is extremely cheap or even Freedom furniture which has really cheap couches and stuff like that. 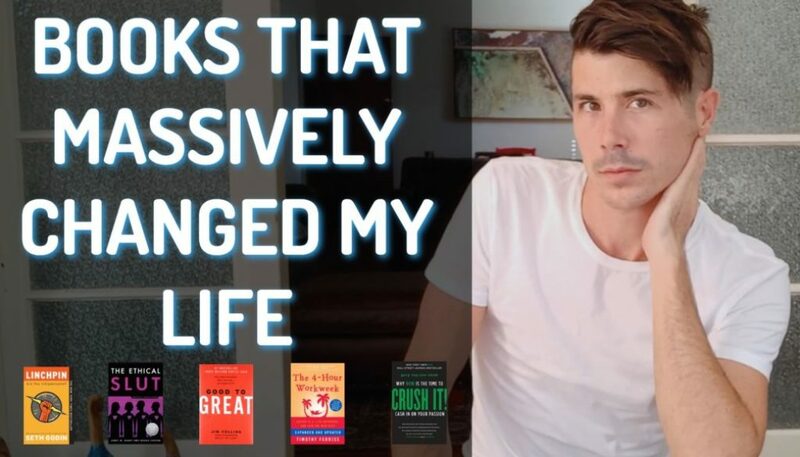 All of this stuff can be done super cheap now. And if you can invest a few thousand dollars to furnish a property and it’s going to increase your rental income you might be able to make back the prices of those furnishings within your first year. Obviously you get to depreciate them as well and then everything after that could be cream on top. So consider that but talk to you real estate agent, find out if that’s going to suit the area or not before you go ahead and do it. Tip number nine is to become a pet friendly property. So there’s not a lot of properties who are happy for people to have pets and if you become a pet-friendly property you open the door to renters who may not have access to other properties which means you may be able to charge a higher price for your property without necessarily doing much work to it. Obviously if you’ve got pets in the property there is probably going to be more maintenance that you need to do in between tenants. More cleaning, more garden maintenance and stuff like that. But by going pet-friendly it could be a good way to increase your rental return on that property. Tip number ten is to add privacy on noise reduction. So if you live on a main road or if you live in an area or your property is designed in such a way that there’s not really any privacy adding privacy elements to a property can make a huge difference, or noise reduction elements as well. If you’re on a main road, noise is something that’s going to turn away tenants and turn away potential buyers. Then the property my increase in value or you could rent it for more because that noise is not so much of an issue. Add privacy and noise reduction if you can. Tip number eleven is to go about refinancing your property. So a friend of mine recently did this last year. He had purchased a property five years ago and it was an under performing property for him. It didn’t deliver the return that he wanted or the rental growth that he expected. On top of all that he was paying to have this property every single month because it was negatively geared. He went out and refinanced his property and did it in such a way that he was saving money on his loan. In fact he turned his negatively geared property into a positive cash flow property! He still hasn’t got the growth that he expected or the rental growth that he expected but he’s no longer pouring money into that property. He can now bide his time and sit and wait for that property to increase in value because it’s not costing him anything. Tip number twelve is to get a new rental manager. This same friend did the same thing a couple years ago. He was having trouble renting his property, wasn’t getting market value for the property and it was staying vacant for a number of weeks in between tenants. So he decided to get a new rental manager. And what he did was he interviewed a bunch of different rental managers in the area and ended up choosing a rental manager that he was happy with. The rental manager that he chose charged a lower fee, 6% instead 7 or 8% so he was saving money on his rental manager fees. But the rental manager was actually better at the job as well and so he was able to get tenants in there for market rate. 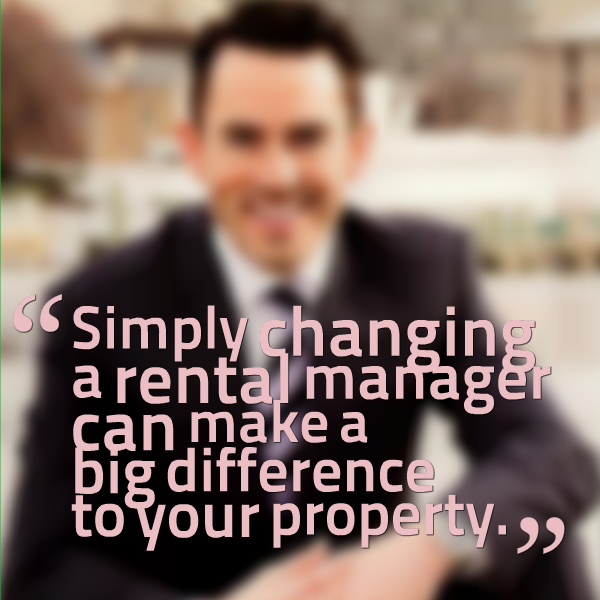 Simply changing a rental manager can make a big difference to your property. Little tip, whenever you sign up a rental manager try to get the clause removed that says you need to give your rental a manager three months’ notice or sometimes six weeks’ notice before you terminate the agreement. Giving someone three months’ notice that you are going to terminate them gives you a three-month window when they’re not willing to do anything for you because they know they getting the sack. So by removing that, it means you can move on to a new rental manager quicker if you’re having issues with your rental manager. Tip number thirteen is to cut your losses and sell. 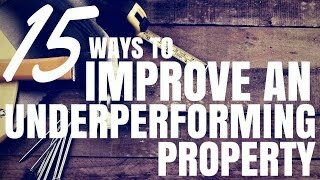 So if it is under performing, you’ve looked at the growth, you’ve done your analysis, you’ve considered these ways of increasing the value of the property and none of them really seem viable. Well maybe it’s time to cut your losses and to sell that property. 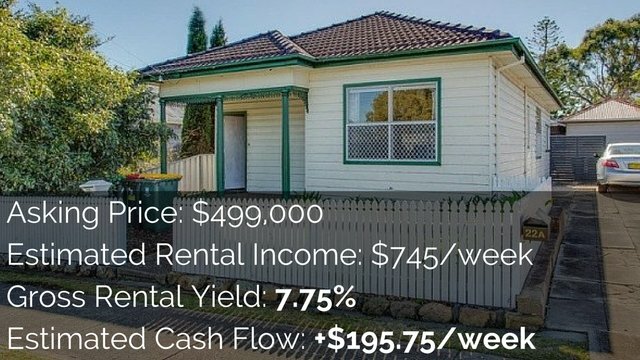 Can you take your money that you invested in that property and invest that money somewhere else, maybe in another property that’s going to deliver a better rate of return? Buy-and-hold strategy doesn’t mean that you need to buy a property and never sell it. Rather than just looking at one property, consider where your money could be elsewhere and opportunity cost that you have holding on to that property. So it might be time to cut your losses and sell. Tip number fourteen is to be patient for growth. And this is extremely helpful if you can finance your property in such a way that it is neutrally geared or it is positively geared. So this means that you’re not putting money into the property every single month in or not to keep that property alive. So you might get to this position by increasing rents or by doing some of the renovations that we talked about maybe through refinancing by getting into this position and being patient can mean that you take advantage of growth in the future. I was recently at a positive real estate seminar night where they talked about investing and they were talking about two brothers that had bought in the same building. They had owned the property for about seven years, it hadn’t really going up in value and one of other brothers went and sold his property because he wanted to cut his losses and go somewhere else. But then within the next 12 to 18 months that property went up significantly in value so the brother who kept his property made a great fortune while brother who sold it, lost out because he just missed window of time where the growth happened. So maybe if you can be patient and you could hold on and hopefully finance in such a way that it’s not costing you significant amounts of money maybe being patient might pay off in the long run. but obviously there’s no guarantee. Tip number fifteen is to consider selling your property via owner finance. 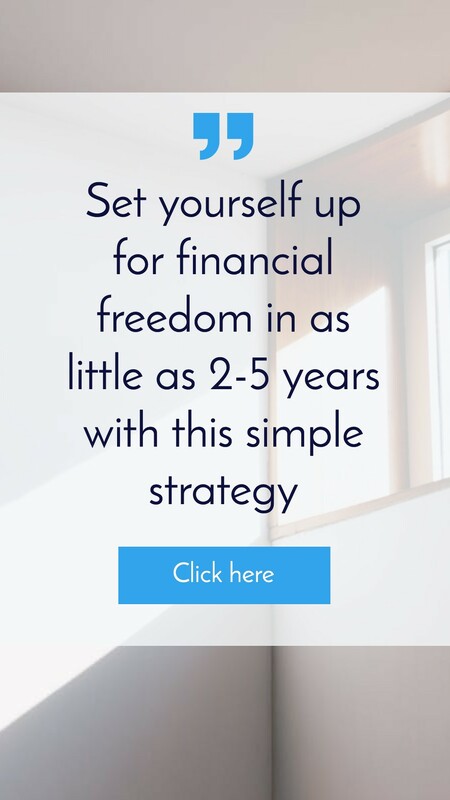 I remember years ago in a forum a an investor had purchased a property in Sydney that was negatively geared and they went through some personal situations where they couldn’t necessarily afford to continue paying for that property. So what they did was they sold their property at break even, but they sold it using owner finance. And what this means is they didn’t ask for cash for the property, they provided the loan themselves to the buyout to the property. And this is great because it means that you can charge generally charge a high interest rate, you can generally command a higher price for the property because you’re appealing to lenders, you’re appealing to purchases who couldn’t necessarily buy a property otherwise. So they turned the situation around, went from a negatively geared property to a property that was delivering them i think it was over $500 a month in positive cash flow. So by going owner finance it may be the way to flip the switch and to turn and under performing property into a property that spins off cash flow and maybe makes you a nice profit in the process.